Download content for Azure, ASP.NET, Office, SQL Server, SharePoint Server and other Microsoft technologies in e-book formats. Reference, guide, and step-by-step information are all available. All the e-books are free. New books will be posted as they become available. 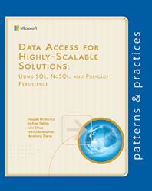 To view white papers for Microsoft technologies, click here. Microsoft SQL Server 2012 Integration Services (SSIS) provides significant improvements in both the developer and administration experience. This article provides tips that can help to make the upgrade to Microsoft SQL Server 2012 Integration Services successful. The tips address editing package configurations and specifically connection strings, converting configurations to parameters, converting packages to the project deployment model, updating Execute Package tasks to use project references and parameterizing the PackageName property. This paper is a developer’s introduction to the Microsoft StreamInsight Queries. The paper has two goals: (1) To help you think through stream processing in simple, layered levels of understanding, complementing the product documentation. (2) To reinforce this learning through examples of various use cases, so that you can design the query plan for a particular problem and compose the LINQ query. This ability for top-down composition of a LINQ query, combined with bottom-up understanding of the query model, will help you build rich and powerful streaming applications. The more advanced sections of this paper provide an overview of a query plan, the operators that constitute the query, and, where appropriate, the foundational query algebra itself. The paper is not a feature reference or a substitute for MSDN documentation. The Data Analysis Expressions (DAX) language is a library of functions and operators that can be combined to build formulas and expressions. Data Mining Extensions (DMX) is a language that you can use to create and work with data mining models in Microsoft SQL Server Analysis Services. You can use DMX to create the structure of new data mining models, to train these models, and to browse, manage, and predict against them. DMX is composed of data definition language (DDL) statements, data manipulation language (DML) statements, and functions and operators. This article introduces the SharePoint List Source and Destination adapters, demonstrates their use in an SSIS package, and documents their features and options. This book introduces two SQL Server high-availability solutions that improve the availability of servers or databases: AlwaysOn Failover Cluster Instances and AlwaysOn Availability Groups. A high-availability solution masks the effects of a hardware or software failure and maintains the availability of applications so that the perceived downtime for users is minimized. You can extend the power of Integration Services (SSIS) by adding code within the wrappers provided by the Script task and the Script component. This section of the Developer Reference provides instructions and examples for extending the control flow and data flow of an SSIS package using the Script task and the Script component. 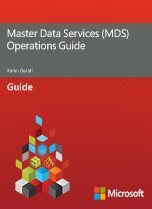 This article provides guidance about how to install, configure and manage SQL Server 2012 Master Data Services (MDS). You also learn how to deploy a Master Data Services model and create a SQL Server Integration Services (SSIS) solution to monitor MDS. The goal of monitoring databases is to assess how a server is performing. Effective monitoring involves taking periodic snapshots of current performance to isolate processes that are causing problems, and gathering data continuously over time to track performance trends. Ongoing evaluation of the database performance helps you minimize response times and maximize throughput, yielding optimal performance. Analysis Services provides several APIs that you can use to program against an Analysis Services instance and the multidimensional databases that it makes available. This section describes the approaches available to developers who want to create custom applications using Analysis Services multidimensional solutions. You can use this information to choose the programming interface that best meets the requirements of a particular project. Analysis Services development projects can be based on managed or non-managed code that runs on a Windows platform, or other platforms that support HTTP access. SQL Server 2008 and SQL Server 2008 R2 (Enterprise and Developer editions) support bulk loading Oracle data using Integration Services packages with the Microsoft Connector for Oracle by Attunity. For SQL Server 2005 and the non-Enterprise and non-Developer editions of SQL Server 2008 and 2008 R2, there are alternatives for achieving optimal performance when loading Oracle data. This paper discusses these alternatives. This white paper discusses disaster recovery options for Microsoft SQL Server Reporting Services solutions configured to use SharePoint integrated mode. This paper extends best practices for Microsoft SharePoint solutions that include both SQL Server Reporting Services and SharePoint Products. This paper also contains procedures, examples, and scripts that you can use to apply these practices to your organization. This e-book is a collection of some of the more popular technical content that was available on the old SQLCAT.COM site. It covers SQL Server technology ranging from SQL Server 2005 to SQL Server 2012. 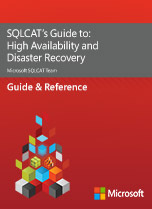 However, this is not all the content that was available on SQLCAT.COM. To see additional content from that site you can follow the SQLCAT blog which will point to additional content. For more comprehensive content on SQL Server, see the MSDN library. This e-book is a collection of some of the more popular technical content that was available on the old SQLCAT.COM site. 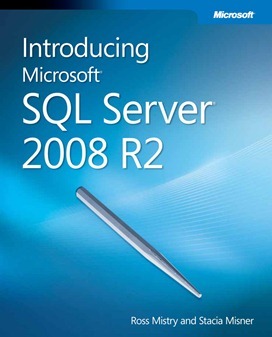 It covers SQL Server technology ranging from SQL Server 2005 to SQL Server 2012. Data Definition Language (DDL) is a vocabulary used to define data structures in SQL Server 2012. Use these statements to create, alter, or drop data structures in an instance of SQL Server. Data Manipulation Language (DML) is a vocabulary used to retrieve and work with data in SQL Server 2012. Use these statements to add, modify, query, or remove data from a SQL Server database. XQuery is a language that can query structured or semi-structured XML data. With the xml data type support provided in the Database Engine, documents can be stored in a database and then queried by using XQuery. XQuery is based on the existing XPath query language, with support added for better iteration, better sorting results, and the ability to construct the necessary XML. Download this book to learn about Analysis Services Multidimensional performance tuning from an operational and development perspective. This book consolidates the previously published SQL Server 2008 R2 Analysis Services Operations Guide and SQL Server 2008 R2 Analysis Services Performance Guide into a single publication that you can view on portable devices. 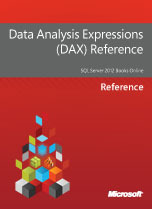 Microsoft SQL Server Analysis Services makes it easy to create sophisticated data mining solutions. The step-by-step tutorials in the following list will help you learn how to get the most out of Analysis Services, so that you can perform advanced analysis to solve business problems that are beyond the reach of traditional business intelligence methods. This tutorial is intended for users who are new to writing SQL statements. It will help new users get started by reviewing some basic statements for creating tables and inserting data. This tutorial uses Transact-SQL, the Microsoft implementation of the SQL standard. This tutorial is intended as a brief introduction to the Transact-SQL language and not as a replacement for a Transact-SQL class. The statements in this tutorial are intentionally simple, and are not meant to represent the complexity found in a typical production database. SQL Server AlwaysOn is the latest High Availability (HADR) offering in Microsoft SQL Server. 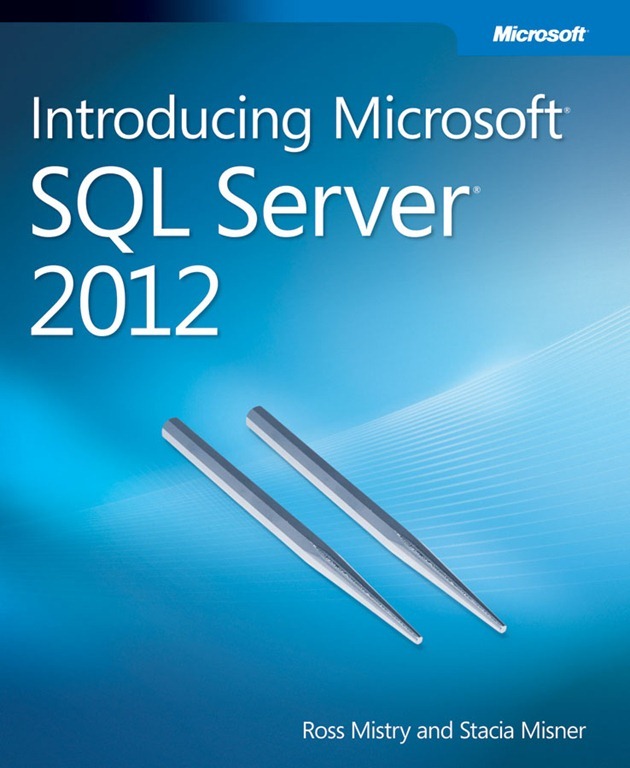 SQL Server AlwaysOn has been introduced in SQL 2012. This document is meant as a quick reference. This document has common troubleshooting information that may be have been encountered either by me or by my colleagues, with troubleshooting steps/commands that are publicly available in SQL Server Books Online (BOL) on MSDN. Rather than having this information in multiple blogs posts (there are already quite a few on the internet), I just felt a combined document may make this information more readable to a user, as a quick reference guide.